Solar power cells need to stay relatively cool for the sake of both efficiency and longevity, but active cooling (like ventilation) isn't practical; it's expensive, and may block the very rays the cells are supposed to collect. 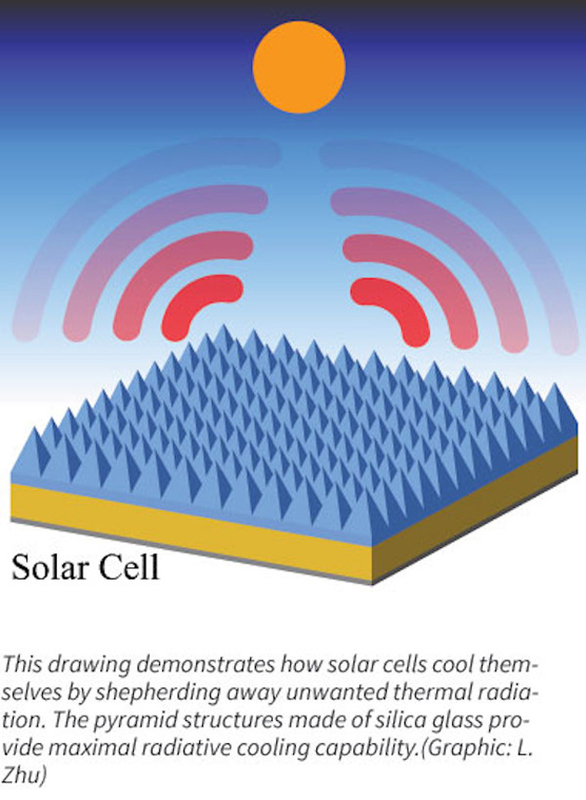 To tackle this problem, Stanford University researchers have created a new form of solar cell that cools itself. The technique embeds a pattern of very small cone and pyramid shapes into the collector's silica surface, bouncing hot infrared wavelengths away while letting in the visible light that generates the most energy. The result is a heavily optimized panel that not only scoops up more power, but avoids cooking itself to death -- it's very nearly ideal, according to scientists. The Stanford team has a long way to go (it still has to try the self-cooling tech outdoors), but it foresees commercial products. Don't be surprised if you can eventually install a refined solar array at home that not only powers more of your gadgets, but doesn't need to be replaced after suffering through a few too many scorching summers.